A few weeks ago we received an email from the lovely Nicola Tweed (far right in photograph - shop assistant at The Ruby Orchard, as well as their social media genius), asking us a question about how we took the photographs for our Christmas Gift Guide post. Needless to say, we could not take credit for taking those photographs, but it was definitely fate that she emailed us as our online conversation then blossomed into The Ruby Orchard being a part of our amazing Christmas Giveaway! We were so thrilled when owner, Hannah Keppler (middle right in photo above) showed us what she wanted to sponsor. If those items are just a little teaser of what The Ruby Orchard offers, then we can only imagine the rest of the gorgeous items that they have! We sent Hannah a little Q&A so that we could really get to know her - and her store. 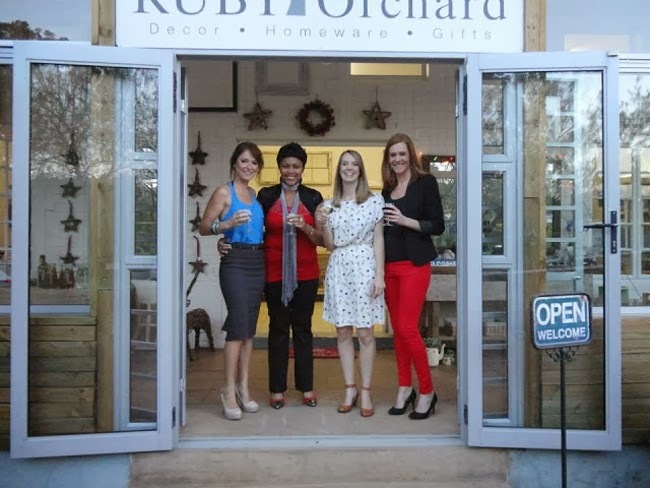 We love that she describes her shop as homely, natural and refreshing, and we can't wait to visit The Ruby Orchard next time we're in that neck of the woods! The Ruby Orchard – I wanted to choose a name that belonged to nothing else, one that makes you stop and wonder. Little England, Paper Moon, All wrapped up, Inside Out, Place settings all made the short list. The Ruby Orchard repeatedly came back to me and worked its way to the top of the list. An Orchard full of Ruby’s… our shop full of goodies! I married a South African, we lived in the British countryside, having our little boy was the turning point. My husband’s family were in Howick, he longed to be back home. We would go for a year, what did we have to lose? June 2012 our South African adventure began. I was planning on being a full time British mum in the Midlands sunshine. I then started to get involved in one aspect of the family business – a picture framing shop. However, it didn’t excite or inspire me. I was amazed in South Africa at the number of locally designed and produced products, I loved them. But at the same time I missed my favourite little shops, products and brands from the UK. The framing shop was sad and tired. I starting hunting for suppliers of products I loved… the shop quickly became full of décor and gifts and has just grown and grown! 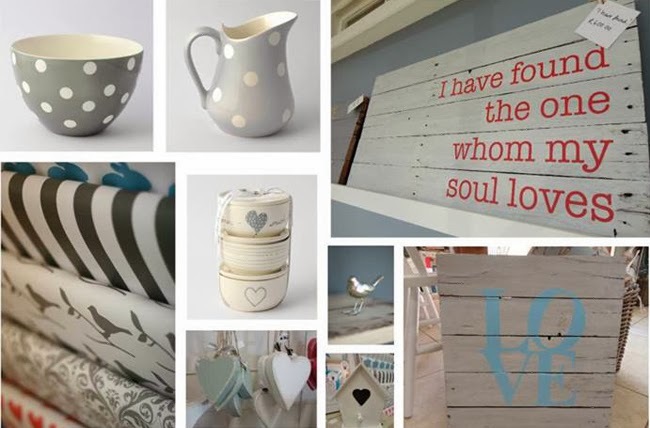 Our product range is unique and ranges from upcycled furniture, home grown creations, stunning ceramics to lovely little goodies that resist the need for categorisation. The Ruby Orchard is the perfect shop for individuals looking for original, rustic, quirky, stylish and timeless pieces without the designer price tags. A love for South African creativity means many products are sourced at local craft markets. 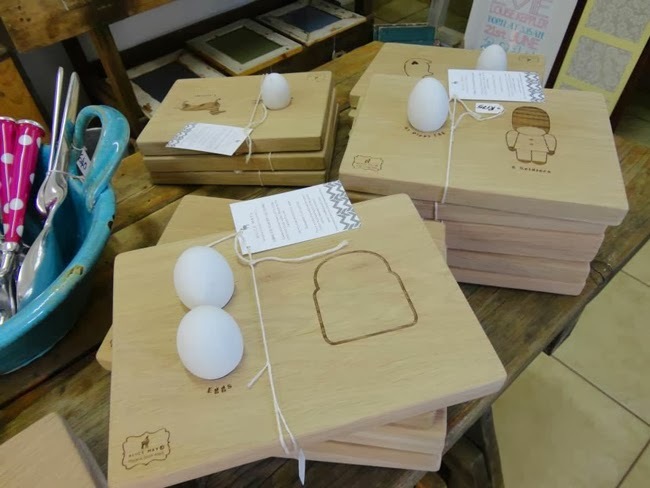 Current best sellers include chunky turquoise glazed jugs, ceramic bunnies, solid oak dippy egg boards, pretty iPad covers, rustic reclaimed picture frames and local handmade soap. They are refreshing, timeless, always changing and have great prices. I know what I like, and that is what I order/make for the shop. If I wouldn’t put it in my house, I won’t stock it, this recipe seems to be working for us at the moment. I have a brilliant family here in SA who support The Ruby Orchard 100% they give me freedom and help to bring every idea to fruition. What were you doing prior to this business? Or do you do something else at the same time? When people come into The Ruby Orchard I always get asked what I did before I started the shop. You would never guess. Growing up I loved sport and competed in every team I could. I studied Physical Education and Sports Science BSc Hons, then a Post Graduate Teachers qualification. After studying and training I climbed the career ladder quickly and worked as Head of PE and then Director of Sport for 9 years at a large state secondary school. Nicola Tweed joined the business in August 2013, employing her was one of our best moves yet! An IT wizz, blogger and she has a passion for marketing. She has great ideas, is always seeking new opportunities to spread The Ruby Orchard love. We love using social media to let people know about us. 4 Shafton Road (corner of Main and Karkloof Road), Howick, Kwa-zulu Natal. British Country cottages, Old farmhouses, Rustic old Barns, natural products, reused and refurbished products. What are some of your loves and loathes? Love - All the super talented, creative entrepreneurs that make products during evenings and spend weekends at markets working to grow their small businesses. Loathes – Super talented creative people who make stunning products…. But are not quite sure how to approach shops / work with shops to get their products in them. 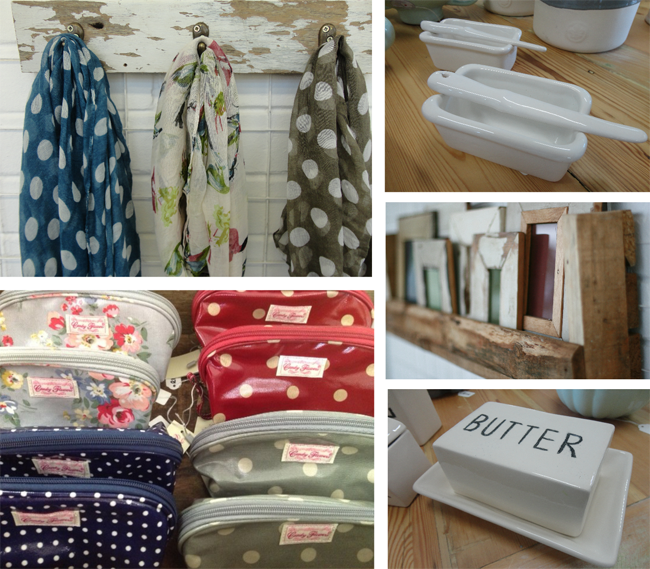 We would love to run workshops / events to teach young creatives how to get their products into retail outlets… watch this space – one of our plans for 2014! What do you see in the future for yourself in the next few years? 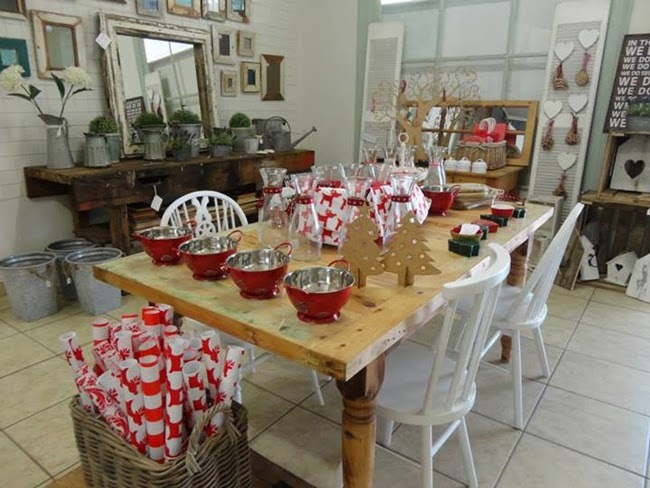 The future – The Ruby Orchard being the most essential stop on the Midlands Meander. Manufacturing and importing our own ranges. More Ruby Orchard’s across SA? Who knows… I love the quote ‘Success doesn’t just come and find you, you have to go out and get it’ – I totally believe this. Customers walking into the shop and being refreshed and exited by our products, when they cannot leave empty handed it makes me happy! My little boy, my ipad, my makeup on and my Cath Kidston handbag. Email me - therubyorchard@hotmail.com – probably the best way!! Images from The Ruby Orchard website.